Happy holidays! I hope you’re feeling joyful and having fun. I’m psyched to share my 2018 holiday gift guide with you! The perfect combo for your spiritual running buddy! By reading The Universe Has Your Back, they’ll strengthen their faith; release the blocks to happiness, security and clear direction; and unleash the power of their presence. 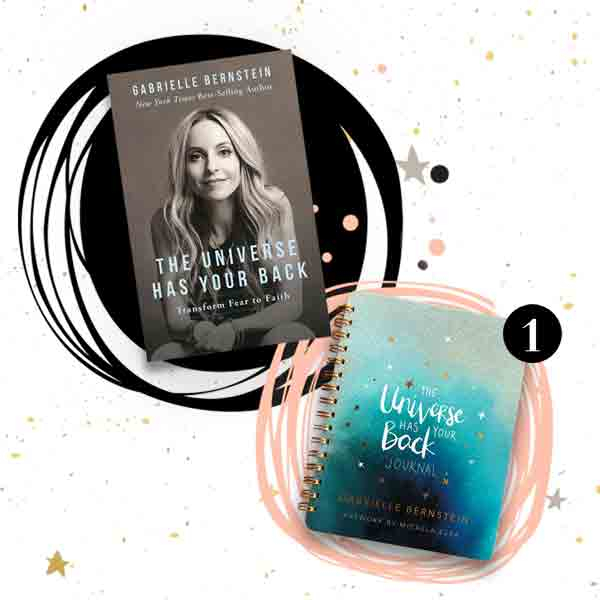 The Universe Has Your Back Journal is perfect for all the free-writing exercises in the book! It will hold space for their dreams and help them manifest their greatest desires, inspiring them with mantras from the book and watercolor designs by my best friend, Micaela Ezra! Plus, when you order the book you’ll get my Art of Manifesting 2-hour online workshop free. And when you order the journal you’ll get my new Journaling Meditation free! 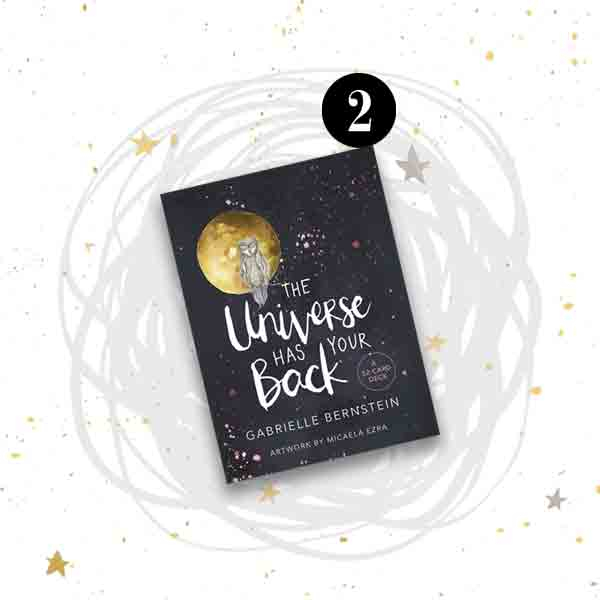 Order The Universe Has Your Back book here. Order The Universe Has Your Back Journal here. Give the gift of spiritual guidance anywhere, anytime. They can pull a card to find find strength when they’re down, synchronicity and support when they’re lost, safety in the face of uncertainty, and joy in all circumstances. The card deck is an awesome stocking stuffer! Order The Universe Has Your Back card deck here. This is the cutest couple gift!! Every morning they’ll wake up with positive vibes. 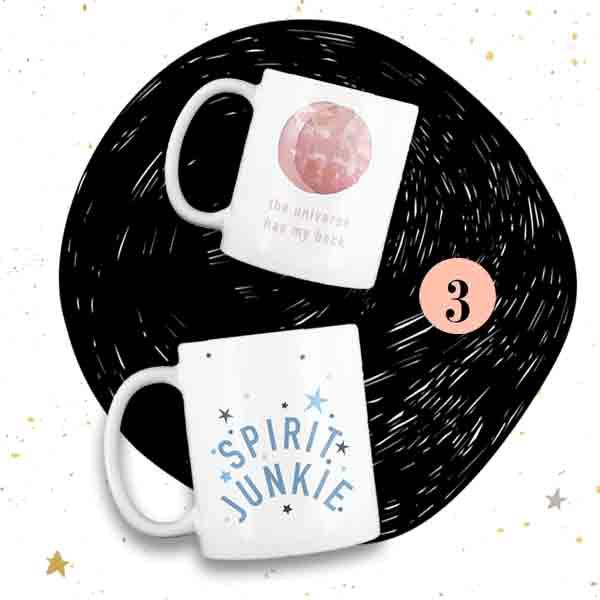 The pink moon mug says The Universe Has My Back and the blue stars mug says Spirit Junkie. Order the pink moon mug here. Order the blue stars mug here. I really love the pink-on-red color combination of this awesome Spirit Junkie crewneck sweatshirt! There’s also a cool black-and-white version. This sweatshirt is super warm and soft, perfect for winter. Order the Spirit Junkie Stars Sweatshirt here. This charcoal gray onesie is for the teeniest Spirit Junkies out there! It’s made from 100% cotton and comes in sizes from newborn to 24 months. Order the Spirit Junkie Onesie here. Grab this classic tote in berry pink so your Spirit Junkie BFF has lots of room for essentials like all their makeup, hand lotion, snacks, a phone charger, multiple hair ties and a sweater. 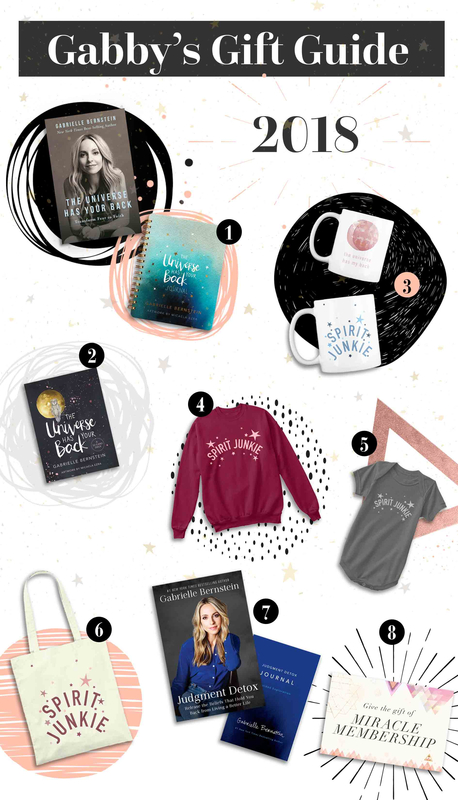 You can go big with this gift by stuffing the tote with Spirit Junkie merch and the book! 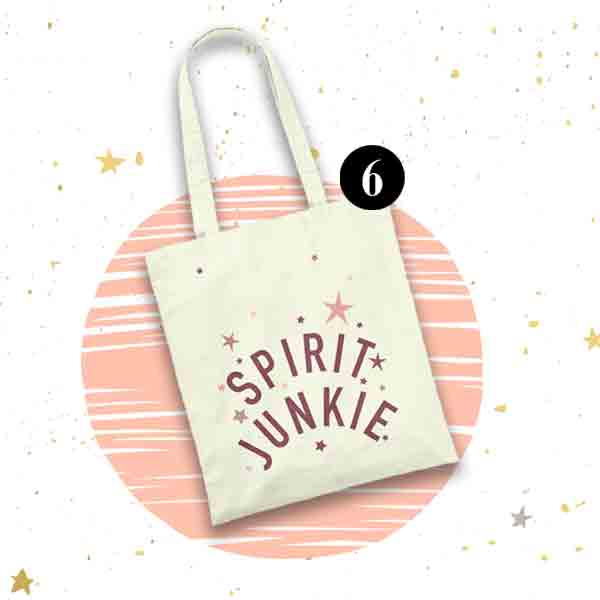 Order the Spirit Junkie Tote here. 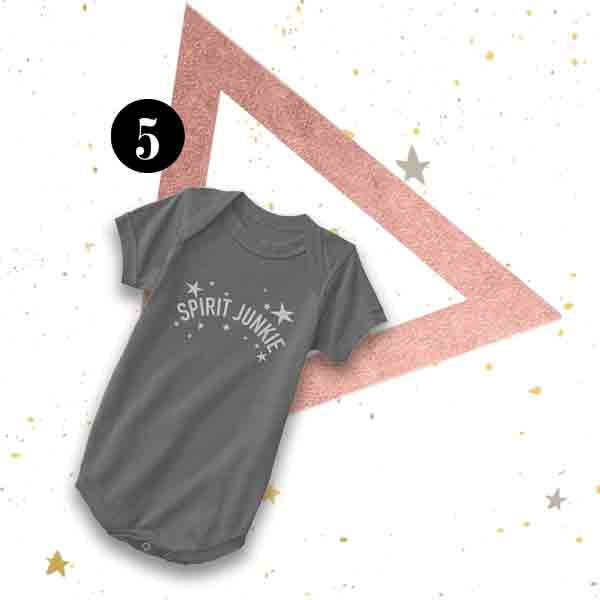 There’s a lot more in the Spirit Junkie merch collection, including toddler tees, long-sleeve tops and more. Check out everything here! 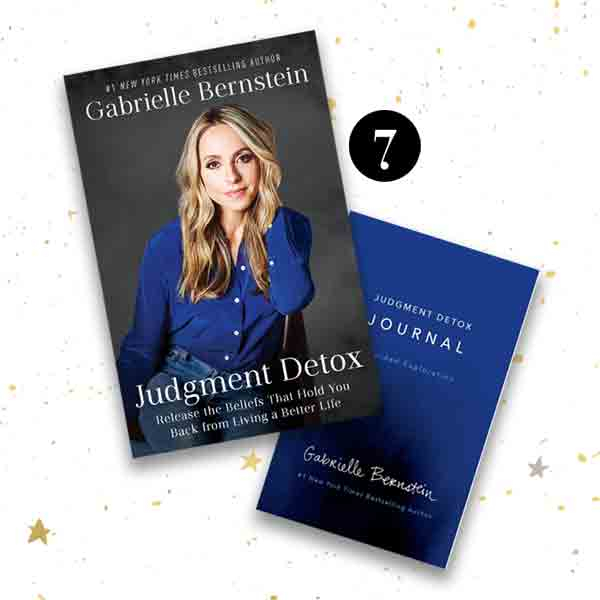 If you have a spiritual running buddy who’s ready to clear blocks, heal judgment and radically transform their life, this Judgment Detox combo is the most beautiful gift you can give. The step-by-step journal makes it easy to follow the Judgment Detox method and commit to the life-changing exercises. It offers them a path to true healing, oneness and a deeper connection to the Universe. Both the book and journal are now out in paperback as well as hardcover! Order the Judgment Detox Journal here. 8. For yourself: A Miracle Membership subscription! Get yourself more Gabby! Join my Miracle Membership to stay spiritually connected every day! Plus you can join the private Facebook group, dive deep into spiritual topics every quarter on my live training calls and more! Become a Miracle Member here. stop it with how amazing this post is! brb ordering that chocolate! love you gab! I tried finding the official site for the lamp provides using the company name found on Amazon. I am not a The golden – rock lamp? Wahe Guru! Bachan. I love the miracle school in Ghana. Education is so important. It’s really great that you lead this project into completion. It’s going to have a big impact on that community. Many blessings and happy holidays to you Gabby! I love this! I hope you make the gift guide a yearly thing! My favorite gift this year was going to the SJMC–it changed everything for me. So excited for Get More Gabby and to see you in Denver! Thank you for the light you shine! alex, Spirit Junkie Masterclass was a gift to me too! That weekend changed me and I will never forget the energy we created. I love the masterclass family. Thank you, Gabby for this beautiful meditation & this amazing gift guide! Aaahhh!! Love this. Just forwarded this to my “other half” for some love filled, inspired gifts that don’t break the bank. Also, blasting out to my local Spirit Junkies to road trio for your talk in SF! Happy Holidays!! Great gift guide Gabby. Thank you for sharing. Please come to New Zealand Gabby!! Are you thinking of making available the gifts with Miracle Now for your Canadian readers? I am planning on buying it shortly to incorporate your tools in my practice in 2015. Thank you and Happy Happy New Year! Just finished watching your talk at FAU, thank you for sharing your light. Will you need help building the school? Hi I want to gift my BFF a one year miracle membership. Is this possible? Can anyone assist? ?